The University of Wyoming Fay W. Whitney School of Nursing has named clinical agencies in Casper, Rock Springs, Saratoga and Sheridan as community partners. The “Community Partner" awards recognize clinical agencies that work with the school to educate the next generation of nurses. This fall, the awards are presented to Mountain View Regional Hospital in Casper, which works closely with the Basic BSN program; Memorial Hospital of Sweetwater County in Rock Springs, involved with the Bachelors Reach for Accelerated Nursing Degree (BRAND) program; Sheridan College and Whitney Benefits, working together with the RN/BSN Completion Program; and Saratoga’s Platte Valley Medical Clinic, P.C., which opens its doors to UW’s Doctor of Nursing Practice students. Mountain View Regional Hospital (MVRH) is the "Basic BSN Community Partner of the Year" for 2015. The staff at MVRH provides rich learning experiences for the UW students. Memorial Hospital of Sweetwater County (MHSC) in Rock Springs is the "BRAND Community Partner" of 2015. Truly seeking after the BRAND students, this agency and clinical personnel are “very pro-student and pro-UW,” says Candace Tull, BRAND program coordinator. Sheridan College and Whitney Benefits share the RN/BSN Completion Program 2015 Community Partner Award. 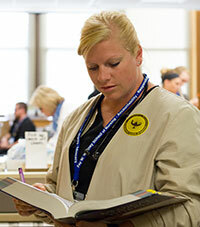 Whitney Benefits instituted an endowment at Sheridan College to enrich nursing and nursing education in the community. The endowment established a collaborative between UW and Sheridan College through appointment of an endowed nursing chair, providing face-to-face advising and academic support for those students pursuing the RN/BSN Completion degree. An endowed nursing chair at a community college is a unique arrangement, serving as the model for future endeavors to facilitate RN to BSN education statewide. Platte Valley Medical Clinic, P.C. (PVMC) is the Doctor of Nursing Practice (DNP) Program Community Partner for 2015. PVMC shares a decades-long relationship with UW in providing outstanding clinical experiences to family nurse practitioner students.